Neil Platten, BI head at Stanlib Asset Management, will explore the lessons learnt during the company's BI project at the upcoming ITWeb Business Intelligence 2014 Summit. "At the point when we began the BI journey, we had a mature data warehouse, which users accessed via cubes and pivot tables. While these are flexible and powerful in the hands of power users, it was difficult for our executive teams and strategy decision-makers to get access to relevant information without asking somebody to extract the information for them," says Platten. "Often, these requests for information would answer the first question the executive had in mind, but would require another extract once the executive spotted something that needed further investigation. This pushed out the timeframes for decisions, which were critical to the business." The company embarked on developing and implementing a solution that wrapped the latest technology around information that was meaningful and useful to a business user, and made it easy to access and interpret. In the past two years, a suite of financial and sales models, operational efficiency models, and more advanced segmentation models have been implemented. "While the models have sped up the decision-making process, the main achievement has been the incorporation of business intelligence into the decision-making process. We've seen our models actively interrogated in executive committee meetings, the operations teams drive their morning meetings using the information available in the models, and our executives access the most up-to-date information on their iPads while they interact with their teams," says Platten. He adds: "The creation of the models is the first step in the BI process, and we continually re-evaluate the models to make sure they anticipate business requirements. The next step is generating what we term insight reports from the existing models. These reports focus on a particular aspect of the business, and using analytic and statistical techniques, highlight trends, latent relationships and ways to improve the efficiency of the business." ITWeb's ninth annual BI Summit seeks to assist BI decision-makers navigate the current changes and challenges. The summit is the BI event on the South African calendar, with more than 250 delegates attending the 2013 event. Click here for more details. 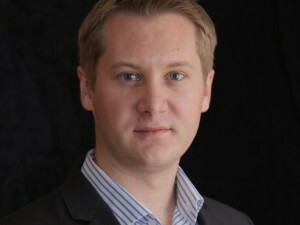 Platten will explore the lessons learnt during the project at the upcoming ITWeb Business Intelligence 2014 Summit, in Johannesburg, from 25 to 27 March. Click here to access the programme for the event and take advantage of the early-bird offer.